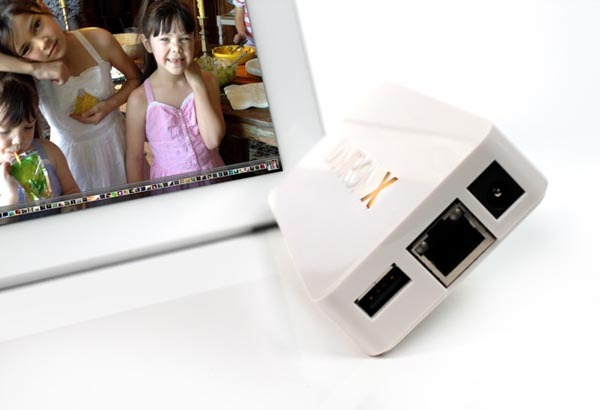 Want to print your photos from your iOS devices directly using your printer? Then at first, you need to use an adapter to convert the wired printer into a wireless printer such as Lantronix’s xPrintServer. xPrintServer is an innovative and very useful printer adapter designed for those who want to wirelessly print their photos from iPhone, iPod touch or iPad. As we can see from the images, xPrintServer features palm-sized design for portability, and using the integrated Ethernet port, you can easily connect the printer adapter into your network, while the USB port has been ready to connect with your USB printer. When all have been done, your wired printer will become a wireless printer for iOS devices. The printer adapter is compatible with more than 4,000 top brand USB and network printers, and supports multiple printers and virtually unlimited iOS devices. Apart from that, no apps or software needs to buy or load. xPrintServer printer adapter is available in two versions for home and business, the home version is priced at $99.95 USD. If you’re interested, jump to Lantronix official site for more details.